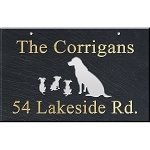 This hanging sign is made of rust-free recycled aluminum and has lettering on BOTH sides. 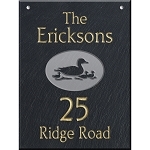 The sign is hand-crafted in the US and has a finish that is formulated especially to withstand weather extremes. - The holes are 7.75" from center to center and are inset 3.5" from the left and right sides. 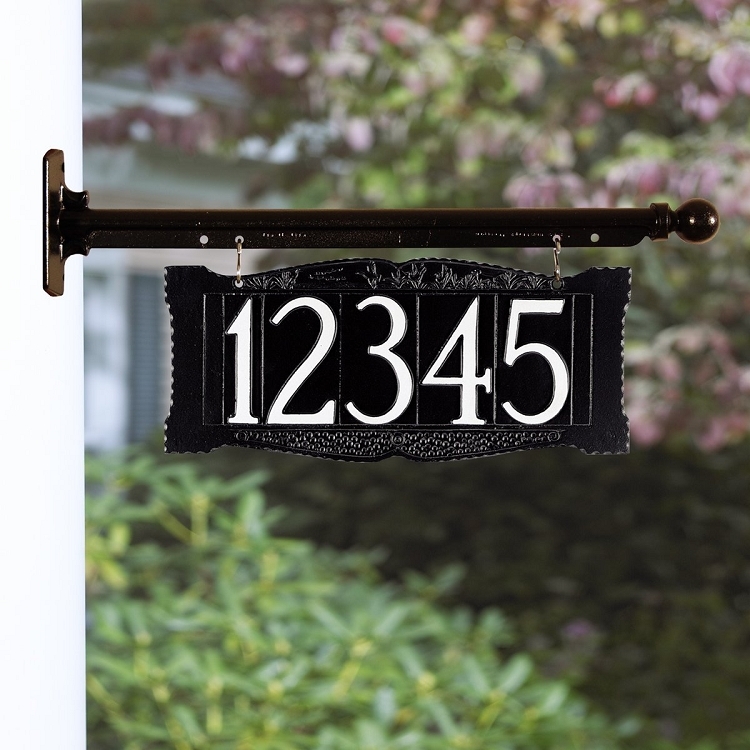 Love this hanging house number sign. 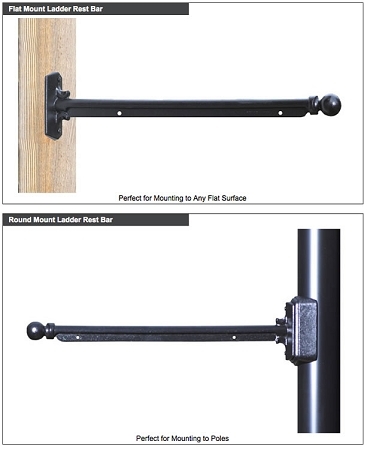 I am extremely satisfied with this product because it comes with a bar that fits onto a post. It is hard to find the hanging bar to go onto the post. The quality is excellent. The product is made of solid iron. It is very sturdy. I like how the numbers are painted on both sides and easy to read from the road. The price is reasonable too. Thank you for a great product. Q: Can you get numbers on both sides? A: Yes. It is printed on both sides. Q: Can you make this 8-10 inches and just one sided ? Q: I have a lamppost with a bar. Can I use that or do I need to buy the one here? A: You can use your hanging bar. If the holes at the top of the plaque don't line up with your bar hooks, hardware stores have "S" hooks that can be used.